Forget about printing your airline, hotel, or car-rental reservation details or about buying tourist maps for your travels. With a few taps and clicks on your smartphone, the TripIt app. makes your life a lot more convenient by organizing your itinerary details for you. You do not even need to have internet access to to use TripIt as the app. functions both offline and online. â€¢Â Keep all of your travel plans in one spot and stay organized with separate itineraries for every destinationâ€”ideal for frequent travelers. â€¢ Forward travel confirmation emails toÂ plans@tripit.comÂ and never worry about losing them again. â€¢ Easily add or edit plans manually right from the app or on tripit.com. â€¢ Share your trip plans with family or colleagues so they know when and where youâ€™re headed. â€¢ Get daily weather forecasts, directions and maps for each destination. â€¢ Use map-based search to find restaurants, businesses and attractions, then add them to your trip itinerary in one click. â€¢ Sync all your trip plans with your calendar. â€¢ Post your destinations to Facebook or Linked In and get travel advice from your social network. Make sure to capture every moment of your travels! Camera+ is one of the best photo applications that allow you to take great snapshots regardless if you are a seasoned photographer or not. 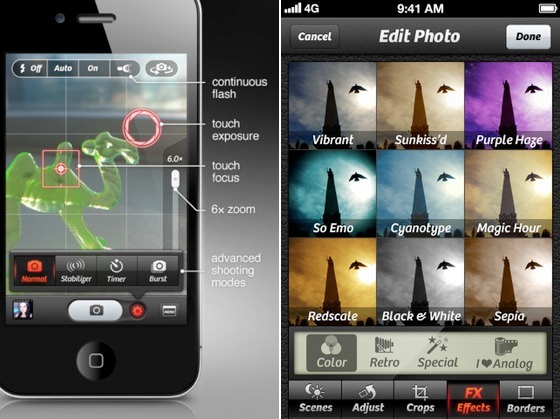 With several amazing features to make photography fun, the app. is also very user-friendly to less tech-savvy folks. + Photo Flashlight â€“ to continuously fill light to improve photo quality, especially for portrait and macro shots. -Â Stabilizer: to steady your iPhone and get the sharpest photos you can. -Â Burst: to take rapid streams of shots. -Â Grid:Â to align shots and eliminate tilted shots. Leaving the house unprepared for the weather can leave you soaked under the rain, sweating on a hot summer’s day, or freezing to death in a snow storm. 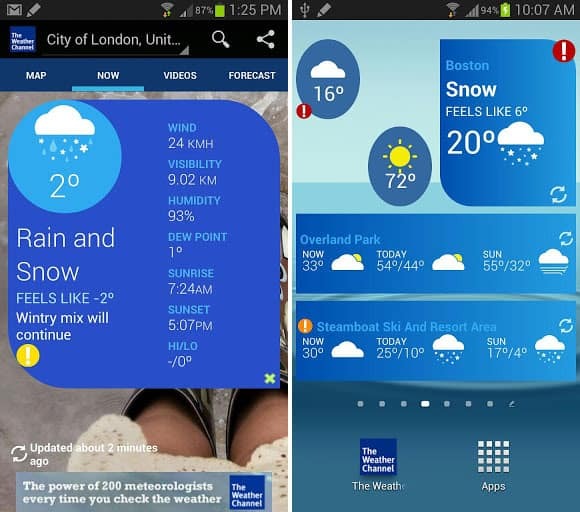 With over 200 meteorologists and weather forecasting technology, the Weather Channel app. provides everyone with the most reliable and accurate weather information needed to plan one’s week, day, or even hour. Looking for a place to eat? Skip all the generic fast food joints and eat where the locals do. Travelers will find the LocalEats app. handy for discovering nearby exotic food joints that are recommended by local food critics. Turn your smartphone screen into one big flight board! Travelers who want to get the latest airline updates and notifications will enjoy Flight+. Flight+ is an application that can help you track the all the available flights worldwide by listing all terminal gate changes, delays, arrivals, departures, seating charts, flight board, and even weather forecasts. This is good for those who do not want to be kept waiting at the airport by friends or family from overseas. With just a tap of a finger, you can find out if they are flight has been delayed or cancelled. Being able to connect to our loved ones any time, anywhere is one of our top priorities. With the help of modern technology, connecting to them has been more convenient. Make unlimited video calls, compose emails and chat 24/7 with them using the Free Wi-fi Finder application. No need to waste time searching for locations with free wi-fi as the app. will immediately direct you to the nearest hot spot for your electronic gadget â€“ no matter where in the world you are!